This little blue set is just so special. 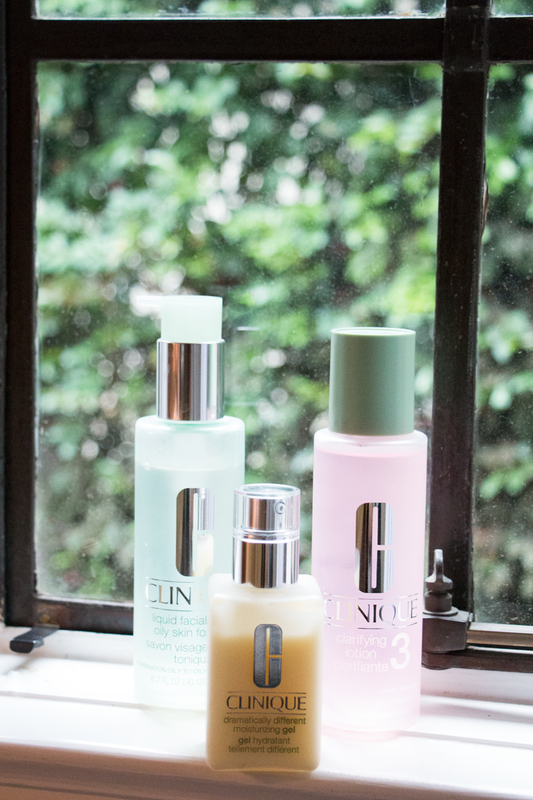 For today’s post I’ve partnered with Clinique to share some of my routines. Yes, I have many beauty routines but I also have other types of daily and weekly routines as well. Everyday I wake up, make breakfast: three eggs, one yolk, one piece of ham sausage and two cups of black coffee with coconut oil. I sit down at my computer, I answer emails and then I look for inspiration by briefly checking some of my favorite fashion sites. Elle Magazine, Harper’s Bazaar, and countless style blogs. Of course, I then shower and apply all of my favorite beauty products. 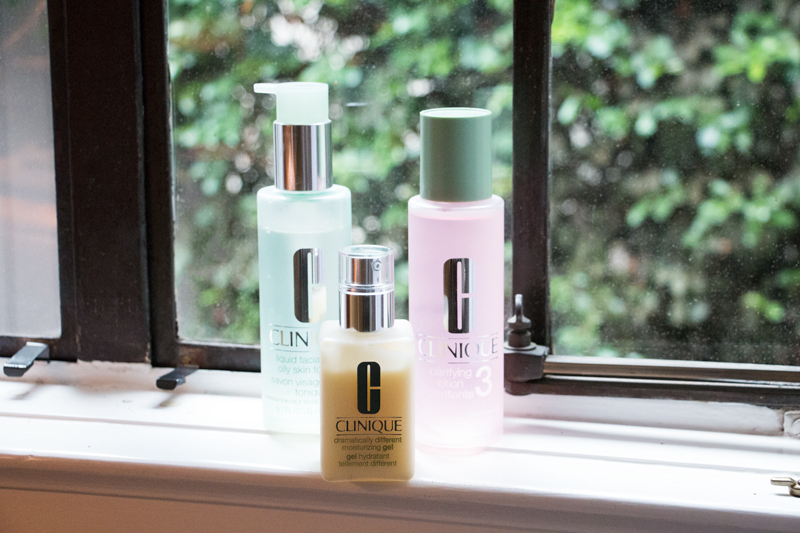 Clinique’s 3 step skincare system is one of my favorite new beauty additions and it has been the key to keeping my skin looking soft and hydrated in these crazy hot summer months. Part of my daily routine is to apply their toner, moisturizing gel, and face wash at night before bed. Also, I can’t go to bed without applying my Rose Salve’s lip balm and argan oil body butter to my hands – my boyfriend thinks I’m a little OCD. Maybe I am. Also, I’ve recently started using masks and I have been incorporating 1 a week into my skincare routine. Nugg beauty’s pod’s are perfect and they have different type’s depending on your needs. Also, another one of my weekly routines is to apply baking soda with water to my hair. I know that sounds so weird, but it actually removes buildup that shampoo often misses, and it leaves my hair looking healthy and voluminous. These are just a few of my routines that keep me looking and feeling my best. What are yours? Share your stories with @Clinique on social media: Facebook, Twitter, Instagram & Pinterest using the #FaceForward. such a pretty mix of blue and pink! You look so chic and stylish. 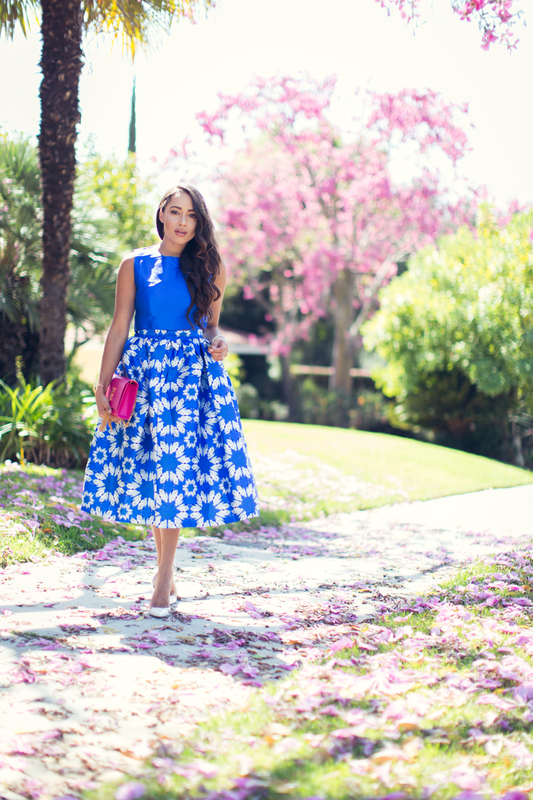 I adore this combo and you did a fantastic job styling! Beautiful! 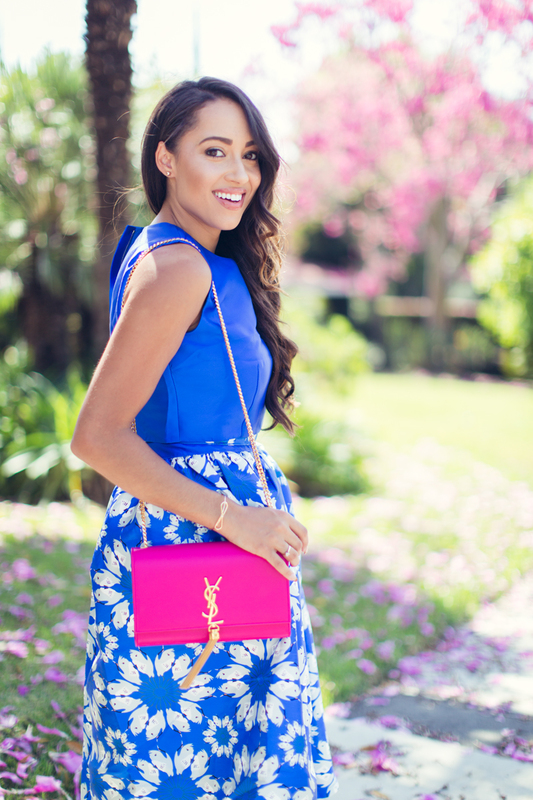 I like the prints on the skirt and the touch of pink with the bag. Great post. You look absolutely gorgeous, Liz! 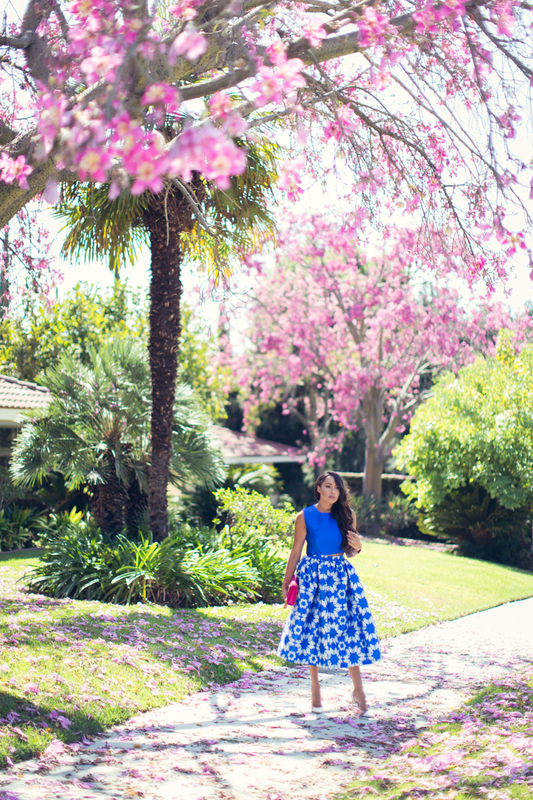 I love the combination of blue and pink. Speaking of pink, that YSL purse is gorgeous! I hope you have an amazing day, beautiful! The lipstick here is wonderful too! Name please?! I'm loving your taste in lippies!